Miniaturized single pole press-to-reset cycling trip free thermal circuit breaker. Extends the benefits for performance and convenience to applications which are cost critical. 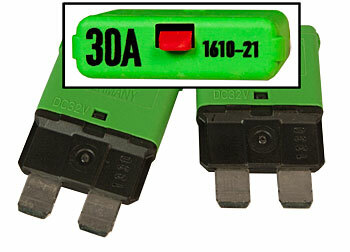 Description: 30A resettable breaker for the KID MPPT Charge Controller.